We decided to make a prompt start this morning and so left around 07.40 from Nämdö Dalsundet. It was a lovely anchorage – quiet and peaceful for the night and, for the first time for a while, we were the only ones there. It was fairly calm – a few knots of breeze at most so we had to motor for a couple of hours, but then decided to stop for a bit at yet another fort. We motored past Dalarö and shortly after you turn south after the town, there is an island called Dalarö Skans. There is a jetty on the west side of the island and mooring is with lazylines – something we realised when the other boat there rowed out to take up his stern anchor – he also hadn’t noticed the lazylines! 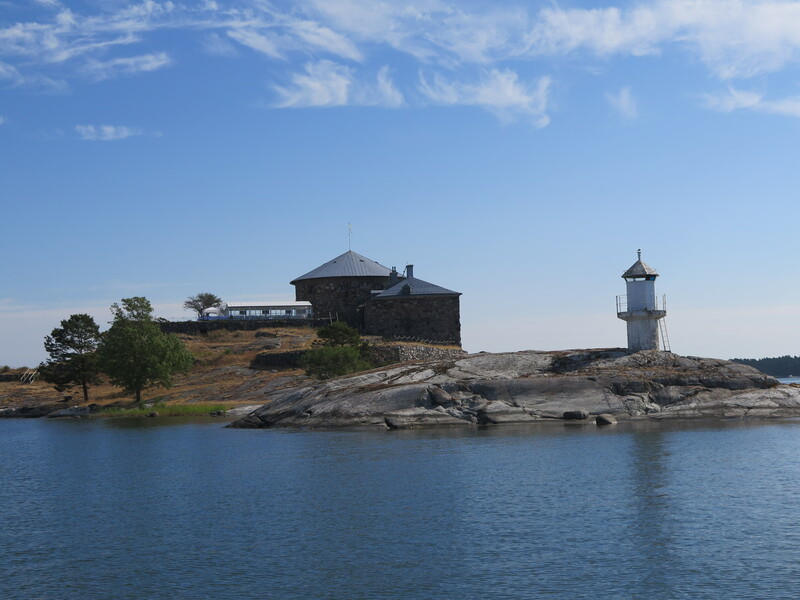 The island has a fort which was first built to protect the sea approach to Stockholm in the 1650s. This period was one where naval power was very important to Sweden as present day Finland was at this time also part of Sweden, so the fort was well defended. By 1658 it was manned with 52 cannons. It then gradually fell into disrepair, but in 1658 a proposal was put forward to alter it and this work started in 1699 and finished around 1720 – modern-day builders will also recognise these timescales! As part of this, the stone tower was built and a Kommendanthuset (Commander’s House), barracks, brewery and bakery were also added. By the 1820s the population on this small island numbered around 70 adults and 20 children – cosy … The fort was decommissioned as part of the state defences in 1854 and in 1992 was restored. It is now a popular day out, but not for us. We were only allowed a quick look round as there was a wedding there that day. It did look a great venue for a wedding. From Dalarö Skans we headed on down towards Nynashamn. 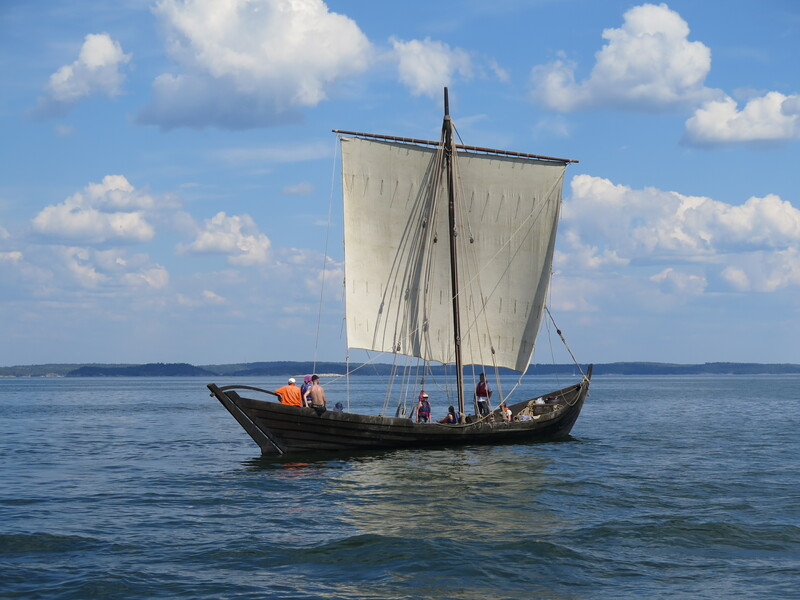 There was very little breeze, but the one boat sailing was a replica Viking Longship, albeit at around 1-2 knots dead downwind. Any pillaging for today will have to be done in slow motion.